I recently went on my first wine tasting trip along the Old Mission Peninsula in Northwest Michigan. In just a few hours we visited five wineries, all unique from one another. Now I’m hoping to wine taste along the beautiful coast of Southwest Michigan. As I’ve been looking for wineries to visit in this region, I’ve put together a list of the top 10 “Must Visit” list. St. Julian Winery– The St. Julian Wine Company is the oldest, largest and most awarded winery in the entire state of Michigan. Founded in 1921, St. Julian produces more than 40 world-class wines, along with eight sparkling alcohol-free juices, Brandy and Vodka. In 1998, St. Julian was awarded the Tasters Guild International “Winery of the Year,” marking the first time a winery outside of California or France received the coveted award. You can visit the winery’s multiple locations, including Paw Paw, Michigan, along with tasting rooms located in Frankenmuth, Union Pier, Dundee and South Haven. Tabor Hill Winery & Restaurant– The Tabor Hill Winery was established in 1968 as the first winery in the Midwest to plant European vinifera grape varieties. Today, the winery boasts 55 acres of estate-grown grapes which produce more than 150,000 gallons of wine every year. Visitors are invited to enjoy walking tours through the vineyard to learn how the fine wines are made. Tabor Hill’s four different locations throughout Michigan include sites with a champagne cellar, restaurant, wine port and art gallery. Fenn Valley Vineyards & Wine Cellar– Located just five miles from Lake Michigan in Saugatuck, this small, premium winery is best known for its estate-bottled Rieslings, sparkling wines, Pinot Gris and barrel-aged red wines. Established in 1973, the winery’s goal was and still remains to produce world-class wines from locally grown grapes. Fenn Valley features a broad selection of dry to sweet wines, including natural fruit wines made from cherry, raspberry and blueberry juices. Just south of Holland, the estate sprawls across 230 acres of farm land. Come check out the winery on Sunday, August 19 for the performing arts in the vineyards event. Contessa Wine Cellars– The next time you’re in Southwest Michigan be sure to visit Contessa Wine Cellars in Coloma, open seven days a week all year long. The winery features an array of fine wines served in an elegant tasting room reminiscing the style of an Italian villa. A European-style terrace also overlooks the beautiful Coloma Valley and accompanying orchard. Hickory Creek Winery– This winery features world-class wines grown exclusively from grapes grown in the Lake Michigan Shore appellation. Located in Buchanan, the winery uses the highest quality local and estate grown vineyard fruits to create wines crafted in an Old World style. 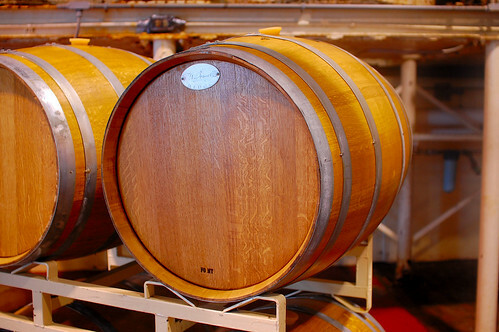 The winery features everything from semi-dry to dry wines, semi-sweet, red and white wines. Free Run Cellars– Two brothers and winemakers, Matthew and Christian Moersch are working to continue their family wine legacy at Free Run Cellars, located in Berrien Springs with a tasting room in Union Pier. With a focus on implementing new winemaking and vineyard techniques, along with single vineyard production and creating new and different flavors, the cellars have found their own unique style of winemaking. Feel free to visit Free Run every Sunday through September at 1:00 p.m. to enjoy live music and award-winning wines at Sippin’ Sundays. Domaine Berrien Cellars– Established in 2001, this winery prides itself in its slogan, “High quality grapes into high quality wine.” Nestled along the family’s 80 acres of farmland in Berrien Springs, the handcrafted wines are made on-site from handpicked and estate-grown grapes. Best known for dry reds and Rhone varietals, Domaine Berrien Cellars features a wide selection of handcrafted, estate grown and bottled wines available for tasting and purchasing. During the warmer months, the winery also features an outdoor seating area where visitors and their dogs can enjoy locally made sausages, cheeses and crackers. White Pine Winery and Vineyards-Located in St. Joseph on the Lake Michigan shore, White Pine Winery showcases some of Southwest Michigan’s finest wines. The winery produces a wide range of delicious red and white wines, along with aromatic whites such as Riesling and Pinot Gris. Owner and winemaker, Dr. David Miller has more than 25 years of experience as a noted winemaker and viticulturist. If you don’t have the opportunity to visit the winery, White Pine wines are sold at many retail locations throughout the state. Karma Vista Vineyards– Located on top of one of the highest hills in Berrien County, this winery and tasting room in Coloma features wine with a ‘unique point of view’. This is one of Michigan’s newest wineries from one of the state’s oldest farm families. Some of the winery’s most popular wines include the Starry Starry White, Pink Side of the Moon, Moondance Merlot and Cha Cha Chardonnay. Founders Wine Cellar– Winemaker Leonard Olson has 40 years of experience with Southwest Michigan wine grape varieties. On Friday, August 31 guests can visit Founders for the Wine Down Friday featuring live music from Don Savoie. Also, the 3rd Annual Grape Stomp Competition featuring live music from Mark Pitcher & the Exit 41 Band takes place on Saturday, September 8. Prizes are awarded to those whom produce the most juice or wear the best costume. Anyone in the Baroda area should be sure to stop by Founders Wine Cellar to enjoy some wonderful wine and hospitality. Don’t worry, if beer is more your style, you can check our A-Z list of Michigan breweries. Have you visited any of these wineries in Southwest Michigan? What is your favorite Michigan wine? I’m looking for wineries and to be more specific vineyards in the south west Michigan area to hold a wedding ceremony and reception. I would greatly appreciate any helpful information you could give. Hi Justin! Thanks for reading. Have you tried visiting http://www.michiganwines.com? You can search for wineries by city and also filter by those that allow wedding ceremonies. Hope this helps! Congratulations! I prefer Round Barn Winery, Karma Vista, 2121, and 12 Corners. All have delicious wines and awesome atmospheres!!! When you’re on your winery tour you should include . They have some of the best. I can’t say enough about he good things about Seven Lakes Vineyard and Winery. Seven Lakes Vineyard and Winery’s wines are the best of the best wines I have ever had the pleasure of tasting! They are absolutely delicious. Highly recommended. I’d like to reserve a room at a Hotel in South Haven or New Buffalo area in November where my wife and I can be picked up and tour wineries in the area.. Is there a package? What is the starting place? Who do I contact? Hi John, thanks for reading. You may want to try contacting the local visitors bureau in these cities. Here are a few links that may be helpful. Where do you stay when you go to these wineries?? Top places for couples to stay please?